Parents’ dreams for their children seldom include placing them away from the family home before college or adulthood. Yet that is the complicated choice many parents face when their teenagers’ behavioral and mental health reaches a crisis point, whether due to an existing disability, or when a young person develops new struggles that put them at risk. The increasing number of young people with mental health challenges has been well documented. Nearly 1 in 5 young people aged 13-18 years experience a severe mental disorder at some point during their life. See the full infographic from National Alliance Mental Illness (NAMI) here. Not all teenagers and young adults with these challenges will need residential placement. If they haven’t responded to outpatient treatment, medication therapy or are at risk of harming themselves or others, placement outside the home may be warranted. Children with an existing disability, like Autism Spectrum Disorder, with an increase in self-injurious or other risky behavior that is not being effectively addressed in their school placement, may also need a more restrictive setting. The benefits of residential placement include individualized treatment around the clock to address the challenges and behaviors that are putting them at risk as well as family training and support. Intensive intervention at this age will help children develop skills they can carry over into adulthood. You can learn more about these programs here. The decision to place your child in a residential setting is complex and should involve professional guidance from a therapist or doctor who knows your child. However, we wanted to provide a perspective on how parents might arrive at such a decision. We reached out to Willows in the Wind, a San Francisco Bay Area non-profit, to gain their perspective into what questions should guide parents' thinking about this. This organization is a resource for families with young people either currently in residential programs, considering residential placement, or preparing for the transition back to the family home or community. They run monthly parent support groups in Los Altos Hills, San Rafael, Oakland, and Broomfield, CO, that offer practical advice as well as support from families who are in a similar situation. The Executive Director, Janet Rao provided us with the following set of questions parents should consider when contemplating a residential placement. We recently spoke at two Willows events and educated their families on how to maximize the likelihood of getting insurance coverage for residential and after care treatments. Therapeutic residential placements can also by coordinated through your child’s school district. Often, placement through a district would benefit from the the insights and guidance of a professional Educational Therapeutic Consultant, according to Janet Rao. Lists of consultants can be found here and here. Speaking to other families who are in the same situation, or who have completed this sort of treatment, is also an invaluable source of information. You can contact them or learn more about Willows in the Wind here. Our office has received an increasing number of phone calls recently from families with children with autism that have complaints about the quality of their ABA providers. While we care about our families and the quality of the health care that they receive, we typically get involved when there are disputes with your health plan about what is medically necessary, or when your health plan is not following consumer protections under the law. First, try to address your concerns directly with the ABA provider by discussing in person or by phone. If this doesn't work, outline your complaint in writing. You should include specific examples of your complaint and any dates or times associated with the issue. For example, if a therapist consistently arrives late of fails to show up, document those incidences and include them in your letter. While some providers have their own toll-free complaint or customer service line, it is always a good to document your concerns in writing and then follow up with a phone call. If you are unable to resolve the conflict with an ABA provider, it may be appropriate to contact the Behavior Analyst Certification Board (BACB). The BACB has a long list of appropriate behaviors that certified behavior analysts must abide by. According to their Ethics code, Behavior Analysts responsibility to clients include: operating in the best interest of their clients, providing effective treatment, and avoiding interruption of service, among other things. For more details, see Professional and Ethical Compliance Code for Behavior Analysts. Instruction on how to file a violation with the BACB can be found here. In addition to the BACB, other accrediting organizations may oversee your ABA provider and get involved when there are concerns with the quality of care. The Behavioral Health Center of Excellence (BHCOE), an agency which accredits ABA agencies which have demonstrated exceptional competence, will consider complaints for those providers that are accredited. Look at the BHCOE website to see if your provider is accredited with them. In many states your ABA provider may be licensed with a state professional board. State boards are also responsible for fielding complaints and making sure that providers follow professional standards. MHAIP Recovered over 10k for Ambulance Services for Client with Eating Disorder MHAIP was able to recover over $10,000 from Blue Shield of CA for a San Mateo teen girl with eating disorders who was transferred from an eating disorders program to a cardiac unit, after developing urgent cardiac problems. Blue Shield initially denied our appeal, stating that it was received after the deadline. It was actually delivered before the deadline, but Blue Shield took extra time to process. Regardless, the DMHC would not permit the denial due to timely filing and ordered Blue Shield to refund the payment to the family. A 23 year old Alameda County, CA man with autism and severe depression requested stabilization and assessment with a residential facility in Utah through his HealthNet/MHN HMO. HealthNet/MHN was unable to provide a residential facility that could serve a young adult with a developmental disability in network. They denied the treatment because it was out of network. We appealed and took the case the CA Department of Managed Health Care. They agreed that an appropriate placement was not available in the network and ordered the plan to cover the treatment. A 16 year old boy from Monroe County, NY with severe depression was denied treatment for his 13 week stay in a wilderness program in Wisconsin. Cigna alleged that treatment was not medically necessary, though he had been cutting, had had a prior suicide attempt, had ceased all activities, and was eating and sleeping irregularly just prior to going to wilderness. Cigna had failed to provide a plan manual, and had taken over 90 days to process the claims (federal standards allow only 30). Before going to external review, we reached out to the NY state attorney general’s office, who obtained the plan manual and provided a letter of support. The external reviewing agency agreed that services were necessary and the family was paid the full amount of the claim. We recently won 161 days of residential coverage (and ongoing) for a 12 year old girl from Colorado with bipolar disorder and severe anxiety from United Health Care. From Sanford Health Plan, we obtained 98 days of RTC coverage for a 15 year-old girl with depression and anxiety from South Dakota. We have won 284 days (and ongoing) residential for a 16 year-old California boy with autism, anxiety and severe depression from ComPsych. We have won 65 days of residential (and ongoing) for a 17 year old Texas girl with United Health Care. We have won 41 days (and ongoing) for an 18 year old California woman from Cigna. We have won 33 days (and ongoing) for an 18 year old California man from Blue Shield of CA. MHAIP won additional hours of 1:1 ABA therapy and reimbursement for out-of-pocket payments for past ABA therapy hours for a family in San Mateo County, CA who have a six-year old boy severely affected with autism. Blue Shielf of CA (BSOC) cut back ABA hours from 30 to 25 hours a week after the family had filed a grievance requesting a 40 hour per week program. MHAIP appealed and showed the child experienced regression from the reduction in hours, DMHC agreed and required that BSOC pay for a 40 hour a week program. MHAIP filed a successful expedited appeal with DMHC to reinstate authorized 40 hour per week of ABA therapy for an eleven-year old California girl with autism. The family’s health plan, a county health system through Medi-cal, had reduced ABA from the recommended 40 per week down to 10. 1) We provide advice to low-income families on how to appeal denials for autism and mental health interventions. 2) We monitor legislation and inform policy makers on the needs of our special communities. 3) We work closely with regulators, bringing systemic gaps and problems to their attention, so that they can enforce the law when health plans fail to follow it. 4) We educate providers, facilities, and families on how to work with insurance, so that YOU can get your services covered. 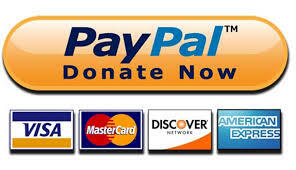 Or donate directly through our website. We are a recognized cause through the corporate employer-matching philanthropic site Benevity (as Mental Health and Autism Insurance Project).